The Ultimate Compost Guide: Sure Fire Ways to Improve Plant Growth - Robinson Love Plants! #10. You can bond with your family! Question Number 1: What is the best manner of composting odd things such as used tissues, towels, napkins, meat and dairy? Are they safe to use when growing edible plants? Question Number 2: Why are pet manures included in the list of controversial materials? They came from animals so manures are supposed to be safe. Question Number 3:Can I just simply bury kitchen scraps directly to the ground? Question Number 4:What can I use as an alternative of leaves for layering? Do I need to use a tarp over my compost piles? How often should turning be? Question Number 5:Can you grow a plant in pure compost? Question Number 6:Is it okay to compost moldy fruits like banana? Question Number 7:I want to compost, but I do not want bugs and the smell. Help! Vibrant and colorful flowers. Plump and sweet vegetables. Fresh green leaves. Robust and nutrient-filled roots and stems. Healthy seeds that can yield hale and hearty new sprout﻿﻿s. These are the descriptions of a perfect plant, a botanic that even people who do not enjoy planting would appreciate. Be able to build your own ecosystem that will help you create bountiful produce. With the help of a compost, you will invite creatures that do not only discharge natural substances but will also help protect your greenhouse from bacteria and pests. Luckily, there are so many ways and options you can choose from. You can even buy it or make your own. Well, guess what, we’re here to guide you every step of the way. Do your pockets a favor and save your hard earned money by not purchasing them from the market. Be able to help the environment at the same time. Go organic and natural and create your compost from resources you already have! I can understand the possibility of linking composts to fertilizers. Most of us will have the same thing popped into our head when we hear the word. Then again, we can sometimes relate composting with things that could rot. Composting is the act or the process of organic substances decaying in a natural way into a rich soil. It is a practice that would help mother earth upcycle nutrients of life. We put composts into the loam and in return, the nutrients of the putrefying materials will go back to the soil. Eventually, it will travel to the roots of the nearby planted foliage. Soon after, the plants will receive most if not all of the nutrients and benefits will be manifested through its physical appearance: lovely flowers and luscious fruits for example. Compost, on the other hand, is the ongoing product of composting. This will be a combination of different materials that are subject to wilt and decompose in a natural way. The final product is then called as the finished compost. Composed are classified as green and brown. Examples of green materials would be eggs and its shells, urine, plant remains (make sure that they were not previously sprayed with pesticides), and herbivore dungs. Hairs, nut shells, paper products in all forms (tissues, cartons, and magazines included), cork, and leather are just some of the examples of brown compost materials. We will further discuss this in another section. There are three types of composting. They are classified according to materials of their compost. Let us discuss them one by one. Backyard composting is the best choice for you if there is enough open space in your garden, if there are trees nearby, and if you have a regular supply of food scraps. Vermicomposting is suitable, on the other hand, if your garden space is limited. This can be done by people who live in apartments or even dormitories. The compost material for this type would also be left-over foods. Another type is grasscycling. You might have noticed that it is a combination of two words: grass and cycling (yes, like recycling). From there, it gives you a clue that the major compost material needed would be none other than… grass! This is very easy to accomplish as the only thing that you need to do is to leave your grass clippings after you mow your yard. If your concern for time and effort is the major hindrance for you to start composting, this is going to be perfect for you! I can sum this up in three steps: prepare, combine and wait. Yes, that is all you need and you can now help save mother earth (in your own little way, in your little space). This type of composting is advisable you if you are not in a hurry to come up with your end product as it can take as much as two years. The fun side is that you do not have to do anything at all! Pro Tip: Please be considerate to the people who live in your house and to your neighbors as well. Make your composts orderly by using covered containers. It does not have to expensive at all! You may use a simple plastic rubbish bin. Of course, there would be an opposite of the previous method. The most notable difference would be the time frame you will need to come up with humus. With hot composting, you can get outcomes within 4 to 6 weeks. With the help of a trash can, place your compost under the sun. The receptacle should again be covered to help maintain the temperature. Pro Tip: Always make sure that a temperature between 120-150 degrees Fahrenheit is constant all throughout. Don’t forget to let air enter your compost every 5 days. Use a compost thermometer to observe. Both cold and hot composting would require you to follow certain intervals of aeration and moisture, specific ratios and strategic layering. If you’re not fond of baking (because of all the specifications you need to keep an eye on), you will absolutely enjoy this one! This can be done by burying food scraps at least half a foot deep soil. The decomposition time frame, however, is indefinite from 1-12 months. Pro Tip: Create a rotating schedule when you select spots in your garden so that the plants in the entire area will benefit. This is not for the faint-hearted. Not for people who consider worms disgusting because the main element that you will need is a worm poo. It means that if you choose this technique, you have to deal with worms every now and then. The advantages of this approach is that it can be used by people with limited spaces, it is apposite during cold climates and localities and lastly, it will give you a constant supply of compost the entire year guaranteed! Pro Tip: Fill up your worm bins with Eisenia fetida. Red wigglers are well-known for their very big appetite making it possible to consume and excrete ½ kilogram of organic substance within a day. The popular reason for composting is that people wanted free fertilizers. Again and again, composts can lead to a healthy land which can harbor plants in fine fettle. You might be thinking about the other benefits of composting aside from serving as a fertilizer. Well, here is an entire section for you! This is also dedicated to readers who are probably still not convinced to compost organic waste yet. If people cannot wait for their garbage collectors, they resort to burning their wastes. Composting can be done alternatively. You halt combination of smoke, poisonous ash, and burned chemicals, which reduces as one sets fire on their trash, which leads to allergic reaction, asthma attacks, and increased air toxicity. A greenhouse gas released from landfill materials called Methane causes climate change. This, together with the massive amount of CO2 (Carbon Dioxide) are the perfect ingredients for illness. In today’s world, it is not surprising to hear accidents caused by the wearing away of lands. Landfills in nearby water sources such as rivers, streams and lakes get weak. Since the terrestrial is technically unhealthy, it can easily let go of its bind. By composting, you decrease the chances of soil running off into bodies of water. Regrettably, when we talk about erosion, it is not only harmful to the land as the pesticides and chemical fertilizers used can go to the water and poison the creatures living there. “1/4 landfill waste could have been used as a compost” – Environmental Protection Agency. Statistics would provide evidence as to how much waste we produced. And it is indeed alarming. By composting all your food scraps, you immediately help decrease the numbers. You might have heard or seen warnings about rat infestation when you are composting foods that are not raw. Another issue would be the smell composts can cause. To do trench composting instead of hot or cold! Dig up instead of using trash bins. Please see following sections for further discussion about tips and tricks and for more frequently asked questions. Since you’ve discovered that you can compost everything that has life, having free resources would never be a problem. Composts are a natural pesticide. Two big words in one product: natural and pesticide. The fact that it can shoo unwanted visitors from eating up your plants is already superb. But, when you add another element which is being natural that would already be perfect! If soils can protest, they can shout to the world how depleted their nutrients are. The end result of compost is a product that is nutrient-abundant and comprehensively rich with beneficial elements. Using compost with your garden prevents unhealthy balances of pH to occur (either by being very acidic or alkaline). Through the help of composting, you encourage your garden to produce more edible plants. Aside from micronutrient deficiency, a huge percentage of our land is thirsty. Research shows that adding 5% organic material quadruples the water absorption capability of the soil. When we were in grade school, our teacher explained to us the importance of ecosystem. Imagine having an effectual biota in your own backyard! Their presence can help boost whatever benefits composting already have. Soils with natural humus can attract bacteria and fungi that connect one plant to another, thereby encouraging exchange and transfer of useful substances like food, water, and other nutrients. There are different forms of compost, one would be home-grown and the other would be industrially manufactured. Choosing any will give humanity benefits but selecting the first type would be the better choice. Making your own compost becomes helpful as you utilize natural elements such as bacteria and fungi to slowly break down the organic matter. Even kids know the importance of roots to plants. They are the ones responsible for sucking up nutrients from the land, they connect with other roots, and they support the structure of the plant as they hold firmly on the ground. When you use compost, you make the foundation robust by stimulating soil particles to stick together, promoting air pockets to increase its number and enhancing multiplication of channels that can transport nutrients. Why do you have to pay extra bucks for land fillers when you can just use an organic compound? Yes, that could mean a few hundred more depending on the size of your garden. A definite two birds hit with one stone; you do not only beautify your garden’s appearance, you also create a healthy environment for everyone. Teaching your children how to compost makes them aware and in charge of their environment at a young age. Explain these benefits in a entertaining way. Make this a fun learning activity and you are also cultivating accountable future generations without even noticing it! There is a very special trick we should know and apply when we decide to start composting. That is, to take into consideration the timetable. For countries like us which experience a cycle of four seasons (winter, spring, summer and fall), proper timing should be noted down so as not to waste our materials and most of all our efforts. This section will help you understand the difference between these four seasons, their pros and cons during composting and most of all, I will run down the strategies you can make use of to maximize your plan. Spring is the perfect time for people living in localities with winter. Choosing the perfect bin will help you be well-organized. You have to understand that there are materials which can particularly be available only at a certain season. As we all know, leaves will be present in massive amounts during fall and few to zero during winter. Select a container that is suited for the temperature. Are you going to need an insulator? Or would you wish to just go ahead and buy a cold weather composter?. If you are planning to start during the summer, you might want to check composters that have high-temperature traps to enhance the composting through heat. Consider the size of your space and the amount of materials you wish to put inside before buying the product. You may ask your neighbors if you are just a newbie in this process as they will give you important guidelines for these concerns. Few more questions to ask yourself when choosing bins would be: How much time do you have? Shall you buy a composter that has a self-aeration system or would you just let the air in manually following a particular schedule? Collect all you the materials you can during fall. Include leaves, flowers, soil used for tomato planting, the clippings of grass when you mowed your lawn, stems, and other garden scraps. Do not forget that this is the time wherein layering the materials are important. You must layer compost pile with leaves alternately. With this in mind, do not forget to set aside extra leaves. As winter days follow, one after the other, layer the extra leaves with your mixed compost regularly. The main purpose layering is to prevent matting; in the same light, the importance of mixing or turning your compost is to provide air pockets. Preparedness is the key, as I always say. Make sure that you have a multipurpose tarp to cover your compost bin just in case rainy season comes. You do not want to get your materials become extremely moist or waterlogged. Starting your compost during spring requires routine turning. The aim is to increase channels in which air could pass by. As the temperature becomes hot, the compost will start to cook. If you began composting in the previous seasons, adding more natural materials will become automatic as unsurprisingly, you will have more resources. The freshly introduced warm organic matters will best serve the bacteria in your compost. The temperature during this season is the unadulterated component to naturally speed up the process of composting. For fresh composts, make sure that there is a balance of all the earthly elements needed to create a healthy soil. This includes air, food, water and warm temperature. Just like when you do composting in fall, you have to layer your materials. Put the green organic matter over your green matter; and/or you can also scatter brown matter within your green matter. As for the watering part, regularly provide moisture while turning. Your task during summer when you already have a compost cooking in your backyard is to ensure that it is properly maintained. Sprinkle new materials (particularly grass) to add variation. Monitor its moisture content to ensure that it will not get dried up. Winter composting becomes tricky because of the presence of low temperature. This change in hotness will cause the development of composting to become sluggish. This is not, however, a reason to be worried for as long as your compose does not turn into an ice, the process will still continue. When the compost materials are frozen, the cooking stops, microorganisms will go on a hibernate mode until the temperature rises above the freezing point again. So this is not a cause for you to be apprehensive. Despite the fact that the compost will turn icy any time, you still have to add new materials like kitchen scraps. Remember the extra leaves that I told you to save last fall? Now is the right moment to use it up. Since it is cold, people would naturally build a fire inside the houses and that is a good news as that means we will be having wood ashes! Feel free to add them up to your compost. Do not forget to layer as you introduce these items. The first thing that you have to do when starting a new project is to make all your equipment available. You can always make use of what is already in your backyard or garage or you can purchase a new one. In any case, you must do some research to check which utensils can be most beneficial for you. Let us discuss the top 5 items that composting will demand. From the name itself, aerator makes air pockets for your compost. 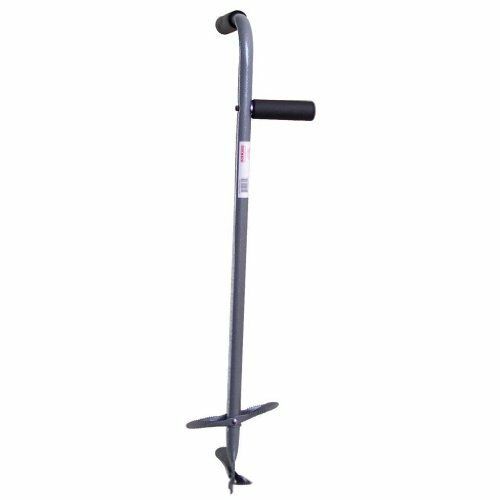 You can buy a compost aerator tool which is readily available for use. Consistent quality and reliability - For over 40 years, The Safety Zone has been an industry leader, known for technical expertise, manufacturing processes and quality control - Guaranteed! There are different kinds of gloves in the market. Other gardeners are contented with the disposable ones. 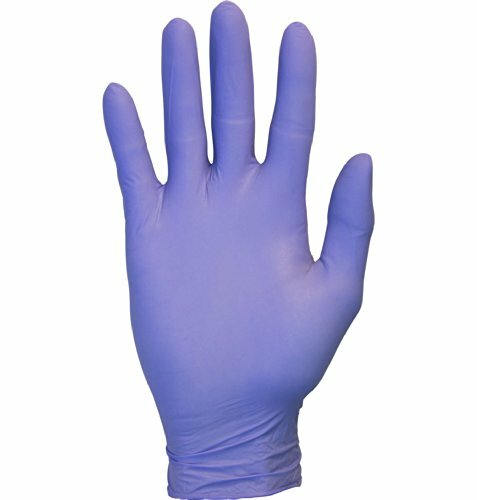 The purpose of this is to protect your hand from getting dirty. This can be used when doing light tasks such as opening the covers of your bin to allow air to enter, or if you would just simply transfer your bin. You might think that the use of the screen is to provide a barrier from pests and your compost. Well, yes, that would be a great idea too! The screen, however, is multi-purpose. Did you know that they can serve as a sifter? They will give you an idea about which of your materials are garden ready. 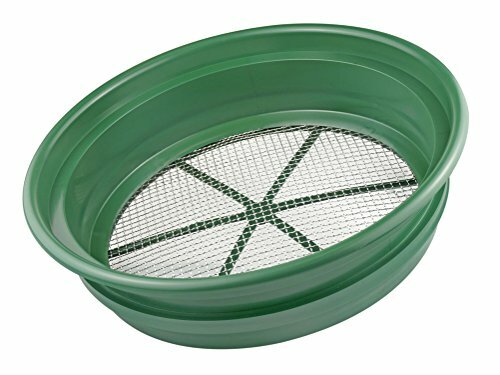 Filter your compost through the screen and those that will be left on top of your sifter should be returned to the bin. It simply means that these larger particles need more time to naturally decay. You may use this for digging when you decide not to do cold or hot composting and at the same time, shovels can be utilized whenever you transfer humus to your garden soil. Check for shovels you can comfortably carry. Getting a very heavy shovel will make you feel tired quickly and it can also cause your back and arm muscles to strain. Also, you have to take into consideration buying a shovel with non-slip grips. This is only an optional equipment. It will make your life easier especially if you are transporting large amounts of compost materials from one place to another. It would also come handy even if you do not use heavy matters but the garden is very spacious. There are different categories of compost bin to choose from. There are also compost accessories in the market you can purchase. To be more precise, here is a list of choices if you do not want to dig your garden soils. Compost tumbler (allows you to mix your compost with comfort or ease just by turning it). If you want a faster result, use a spinning composter. It has the same method but the bonus aerating mixing fins makes a big difference. Step 2​: Create 8 to 10 holes at the bottom. This will allow air to enter your compost. You may use a hand drill or hammer and nail. Buy 2 rectangular bins that can be placed on top of each other. One will be called the worm bin, and the other, leachate bin. Drill aeration spaces on the sides (8 holes) and bottom (18 holes) part of the worm bin. Holes here, however, should be carefully spaced (2-2.5 inches interval). Set aside. Drill 8 holes on the mid-side. If you’re using Rubbermaid, use the side ridges as your demarcation line. There must be 2-2.5 inches between each hole. Stack the worm bin over the leachate bin. Fill the container with worms occupying 75% of the bin, wait and follow vermicomposting procedures carefully. If you’re not comfortable with worms, here’s the procedure on how to create composters out of trash can. Use 40 gallons of garbage can, drill holes evenly on the bottom, sides, and cover. Place your container on top of 2 blocks of wood so that the air can circulate all over. Fill in the bin with your compost material. Select the location. Unlike containers, this type of bin would not be easy to maneuver and it would get lots of effort to transfer. Wash the pallets with soapy water. Even the sides using sand paper to avoid splinters. Using two pallets, connect them using L-brackets. Connect the third using another bracket. You may repeat this step depending on the number of available pallets. Create a swinging door with the fourth pallet using two to three hinges. The door will allow you easily remove your compost once its process completed. If you would like to put some paint to beautify your bin, do it on the outside part only. This will prevent chemicals to have direct access to your compost materials. Prepare your planters by covering a landscaping fabric (or burlap) on each side. Allow the cloth to exceed so that it will hang over the sides of the walls of your pallet. Create a pocket by cutting notches in brace points and then sliding the fabric. Once you are contented with the depth and form, staple to stabilize. Fill the planters with vining plants and fill the bin with compost materials. Surprising items which could be included in your compost include alcoholic beverages like beer and wine, latex or sheepskin condoms, masking tape, menstrual pads or tampons, nail clippings (must be without polish), non-toxic glue, old leather products, and used loofah. It is highly suggested however to place these items in the middle of your heap. Just like anything else, composts need a very good foundation. This can be done by making 4 inches of hard materials like branches and twigs. The air can easily pass through these items as it creates a non-compact base. Apply liberal amounts of water. Start layering your greens on top of your browns one after the other until you create a 36-60 inches pack. Do not stuff your layers too firmly. Water each layer regularly. Oxygen to enter the compost pile. Without turning, our compost will produce bad odor as it becomes anaerobic. Turn to avoid fly and rat infestation. Ensures that all parts of the heap will be exposed to death, killing all pathogens. Mixture and chopping matters better, turning the finely granulated. You can use your finished product by directly applying them to your garden soil. Lastly, you can create a compost tea out of all your products! It can be applied twice a month to an established plant through a use of garden sprayer or watering can. Soak the solution around the plant root just like how you ordinarily water your plants. You may use this product too as an alternative. Sift your finished products using a screen (check the materials discussed earlier). Gather all the materials that were able to pass through your filter. Fill 33% of a 5-gallon bucket with your filtered compost. Put a mark on your bucket 2 inches on top of your compost. Fill the bucket with unchlorinated water until you reach your demarcation line. Stir the mixture well with a stick regularly within the next 5 -7 days to aerate. After a week, strain to get the compost tea. Cover your garden’s layer of finished compost to give nourishment to all your plants. As you water them, the humus would be able to go deeper and the plants will absorb its components eventually. If you have garden beds, you may mix your compost with the soil without limitation. Put your compost in a pot and plant seeds using a ratio of 1:3 compost-soil. Sprinkling your compost on top of the soil of established plants. This will only be applicable if you still have a space on your pot. If not, remove 1-2 inches thick soil from the pot and substitute it with your compost. Transfer seedlings to a mixture of 1 part compost and 2 part soils. Some plants like tomato and pumpkin thrive in plain compost. This would be a perfect choice if you do not have a soil nearby but still want to grow plants. You may experiment with different seeds to see which will work. 1. Alfalfa and Red clover. You may use their clippings as an additional organic matter. These perennial legumes grow continuously. 2. Biennial yellow clover. This plant is super nitrogen rich that as it grows it will continuously emit nitrogen through its root. 3. Borage and comfrey. The benefit of using these herbs is that they utilize phosphorus and zinc from the compost to grow fast. 4. Daikon radish and kale. Unlike other vegetables, heavy seeding is needed to be successful. You can recycle the stalks for the compost. 5. Edamame, Black-eyed peas, Red cowpeas, and other beans. This low maintenance plant would necessitate few steps: plant, harvest, then cut vines. 6. Winter rye. This plant can serve as the protection for the soil. Its crops are full of nutrients which they add to the compost. Certain animals, such as birds are helpful when it comes to composting. Alectura lathami is a very good example of this. Brush turkey, which can be found in Australia creates piles from decomposing vegetation. Apparently, the main purpose of this bird is to produce heat to nurture the eggs on her nest. The bird collects organic materials and places it on its nest so that the warm temperature it naturally emits warms the egg. This compound can eventually turn into a good humus. The combinations of haystack (and other compost materials) and chicken can lead to many good beneficial outputs. First, the chicken would love to feed on the worms of the compost. Second, the chicken will produce manure that will contribute to the compost. And lastly, chickens will do all the mixing and aeration for you as they hunt for food sources. Birds can also serve as a composting matter once they die. This allows dead-disposal to be carried out safely and eventually producing valuable materials. Composting is done by mixing deceased avian, their manure and piles of straw. Another great source of animal manure for composting would be horses. As previously discussed, these animals do not grind their food as much as other herbivores. It is a fact that a horse produces about 23 kilos of excreta in a day. Now, if you are fond of horses, or if you have a barn, this could actually give you 8 tons of organic waste per year multiplied by the number of horses you own! Find a perfect spot for your compost building procedure. It should be in a high area with a leveled ground. You do not want their manure spilling out in lower areas of your field during the rainy season. Create an 8x8x5-inch compost bin. It would be a wise move to prepare a second or third bin so that you can create batch after batch of compost material. Provide a barrier between the hot sun and the rain. Use a tarp to accomplish this. In this way, you will be preventing the compost to get dry or too moist and soggy when it rains. Aerate. Turn your compost accordingly. Sticking a number of PVC pipes that are 5 feet long were vouched to be an effective and easy way to do this. Water. Moisten it regularly without soaking the compost. This is one of the easiest ways on how to compost. As the grasses in your lawn grow tall, you can start mowing them… and, just leave the grass clippings on the ground! In due course, the clippings that cover your lawn will naturally decay and will serve as a fertilizer for your soil. However, if you wish to use your grass clippings as part of your compost material in bins, there is a different process you have to follow. Contrary to the first method I have shared with you, it is advisable for you to classify your grass clipping first. If it is fresh, it belongs to the green matter. On the other hand, of it has dried up already, it counts as a brown matter. Bear in mind that grass can be easily packed and can get too damp. As an effect, aeration will not happen and microbes will die. With this light, do not carelessly throw your grass cuttings in the pit because negative consequences such as bad odor and slothful development of the composting process. Warning: This section may not be suitable for everyone. You might have an idea about the primary material which you will utilize when you compost toilets. If your guess was human waste, then you are correct. Toilet composting has been proven possible and effective in 1960’s. The Bio-drum which was able to quickly compost waste and toilet paper without producing odor, and evaporate the liquid with the manure, introduced us to this concept. The entire toilet is divided into 3 chambers which performs different tasks. The advantages of toilet compost include breaking down of waste using aerobic bacteria, controlling moisture, and stabilizing a warm environment. Japan, being well-known for their technology came up with an electric composter. This makes composting relatively easy for anyone. Through its manual, you can easily identify which materials can be added to the compost, even controversial matters like cooked food and fish. It can produce odorless humus in as little as 30 days and you can keep the compost in the bin for 6 months. This is a great composting tool for condominiums and small apartments. If you can recall, I listed family bonding as a good reason why to start composting. Composting can be done by people from all walks of life, even kids. Teach your kids to segregate the fruit and veggie peelings from other household wastes. Ask them to help you combine materials. Explain the process to children in an entertaining way such as using cartoons and educational shows. Certainly, there are substances that are quite controversial. Expert claims that composting meat and dairy is possible and safe if you have a huge amount of compost as this will ensure proper breakdown through the collaboration of your carbon and nitrogen elements. Home based composting especially in houses with small areas should contain purely organic materials as much as possible. These materials will not go to waste by simply collecting them in a separate bin and giving them to city compost collection services. Pets like dogs and cats can be affected with diseases. They sometimes eat inorganic foods as well. There is a possibility that they can acquire sickness caused by parasites. Some parasites can be very potent; they can live for a long span of time, and stay inactive in soils for a month without dying. An example of this would be Toxacara canis. For expert composters, they would just simply add dog dungs in the middle of their hot pile. The high temperature will kill the pathogens present in the feces. Substituting this process with trench composting is also possible. It does not mean that they will go to waste for you can use pet excreta for non-edible plants. First, you have to define your kitchen scraps. If you mean vegetable and fruit peelings then, by all means, do so. However, meat is a different case. Fishes, however, can be buried and used as fertilizer. Cooked items are also debatable matter. If you would like to bury them, make sure that it stays 1 to 1.5 foot deep and must be covered with ½ foot soil. This will ensure the absence of foul smells. Paper products can be used to replace leaves as it contains as much Carbon element. Use papers that are not glossy and did not use colored inks. Tarps are great when the weather is pretty cold as it can serve as an insulator. The combination of elements will already produce the necessary needed to complete the process. It is a popular practice to combine compost with soil, with the ratio depending on the type of plant you would like to grow. You can try out different seeds (there are so many kinds to choose from which can be bought from your market) to check which will grow. Doing this allows you to experiment as its effectivity varies from one compost to another considering the unique combination of organic materials we utilize. In the previous section, we mentioned plants such as tomatoes and pumpkin. We throw fruits because it is already spoiled basically as we can no longer eat it. Well, here is a great news for you. Moldy fruits are one of the best ingredients of a compost pile since the decaying process has begun. In turn, this can easily infect other substances in your compost, speeding up the composting process in due course. Unfortunately, you cannot do away with bugs as they are one of the vital players in composting. You can, however, deal with the smell by regularly turning your compost, and sprinkling some baking soda on it! If you are still not satisfied with that, feel free to start digging soils. Place your compost materials and then bury it again with land. This is a sure fire way to hide the smell.